Researchers at the University of Twente’s MESA+ research institute have made major efficiency enhancements to the technology used for producing solar fuels. This deals with the direct conversion of energy from sunlight into a usable fuel (in this situation, hydrogen). Employing earth-abundant materials, they produced the most effective conversion method to date. The trick here involves decoupling the site where sunlight is captured from the site where the conversion reaction happens. This study was featured in the Jan 15th issue of the journal Nature Energy. Researchers from all over the world are working on the development of solar fuel technology. This involves producing sustainable fuels using just sunlight, water and CO2 - the basic ingredients used by plants. A group of researchers from the University of Twente’s MESA+ research institute are working on a solar-to-fuel device that generates hydrogen. They have now achieved a significant breakthrough in this area of central research. Using earth-abundant materials (that is, preventing the use of expensive and scarce precious metals), they have created the most efficient method to date for transforming light into hydrogen. 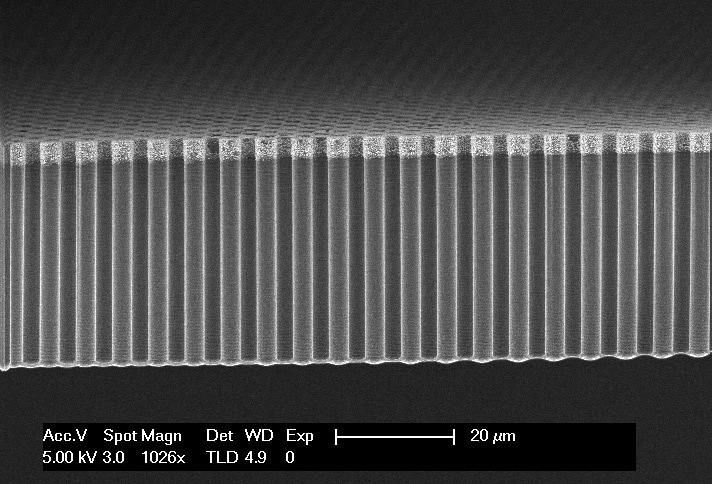 The system comprises of silicon microwires less than one tenth of a millimeter long, and the tops of these microwires are coated with a catalyst. The photons (light particles) are gathered between the microwires. The chemical reaction in which hydrogen is developed occurs on the catalyst at the tips of the microwires. By varying the length and density of the microwires, the researchers eventually attained a maximum efficiency of 10.8%. They succeeded in attaining this by decoupling the site where the photons are gathered from the site where the conversion reaction is performed. This is essential since catalysts generally reflect light. However, to make the conversion as effective as possible, one will want them to absorb as much light as possible. It is essential to attain this decoupling at the microscale, since at bigger scales the conductivity of the silicon microwires becomes the controlling factor. Prof. Jurriaan Huskens, one of the researchers involved, explains that 10.8% is considered to be the highest ever efficiency for a silicon-based design. However, an additional increase in efficiency – to 15% – is required for making the technology economically feasible. The study was performed by Wouter Vijselaar, Pieter Westerik, Janneke Veerbeek, Roald Tiggelaar, Erwin Berenschot, Niels Tas, Han Gardeniers and Jurriaan Huskens of the Molecular NanoFabrication and Mesoscale Chemical Systems research groups and the MESA+ NanoLab. Nature Energy has featured this study as an article entitled ‘Spatial Decoupling of Light Absorption and Catalytic Activity of Ni-Mo-Loaded High-Aspect-Ratio Silicon Microwire Photocathodes’.